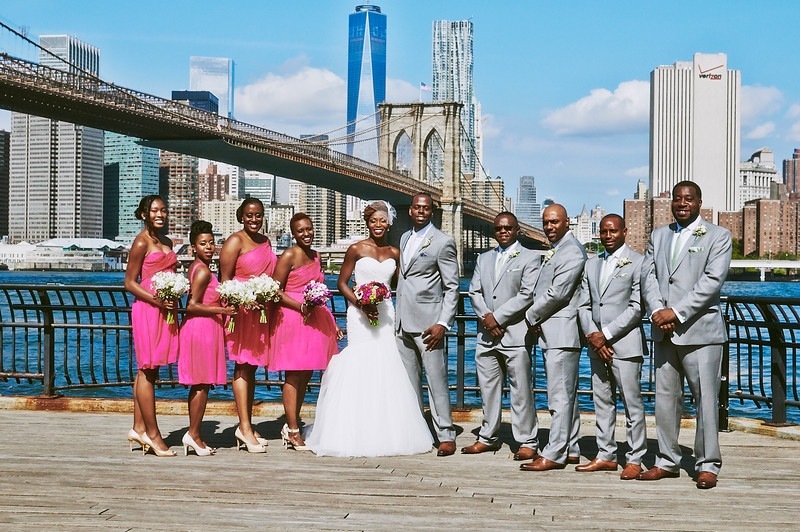 This Brooklyn Bridal Party dazzled in the Summer sun. This wonderful burst of color and energy was captured by Le Image Photography. 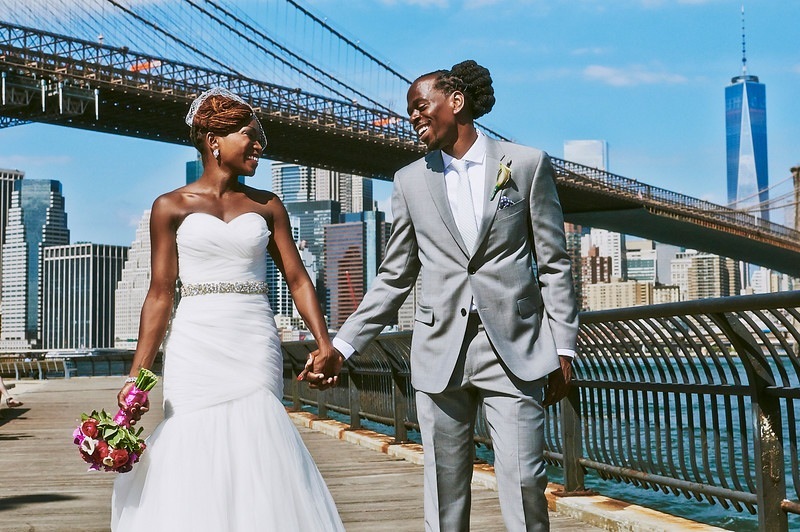 The Party worked it’s way through the sites of Brooklyn for these mesmerizing shots. 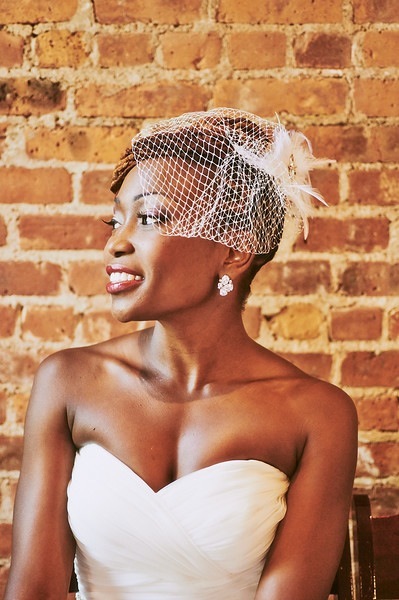 After the photo shoot, the Amazing day continued at Deity Wedding Venue in Brooklyn. 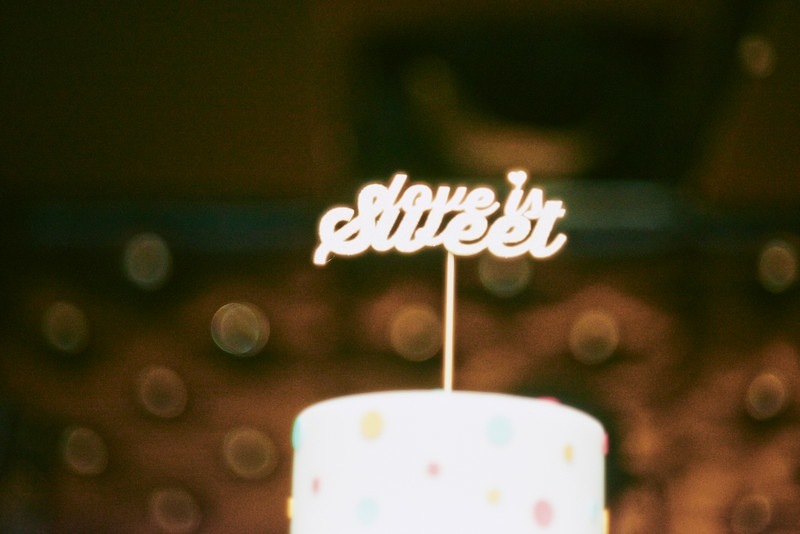 The couple was married in the sunlit Loft. Followed by a Family-Style dinner as the sun began to go down. 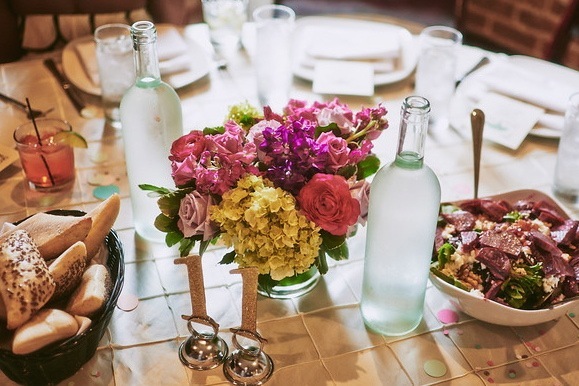 The Bride continued the gorgeous Pops of Color to the dining tables with magentas, greens, and yellows reflected not only in the floral arrangements but even in the delicious food. The day ended on a Sweet Note with a Cake from Betty Bakery. At first, I was reluctant to go with an all-inclusive venue because of the restrictions on the caterer, dj and decor. But the gamble my husband and I took paid off as our wedding day was amazing! The staff at Deity treated our parents like royalty (my mom’s words precisely). They were so polite, attentive and accommodating. The day-of coordinator, did an impressive job of making sure the entire event ran smoothly, even though the ceremony started late. Kudos to you sir. 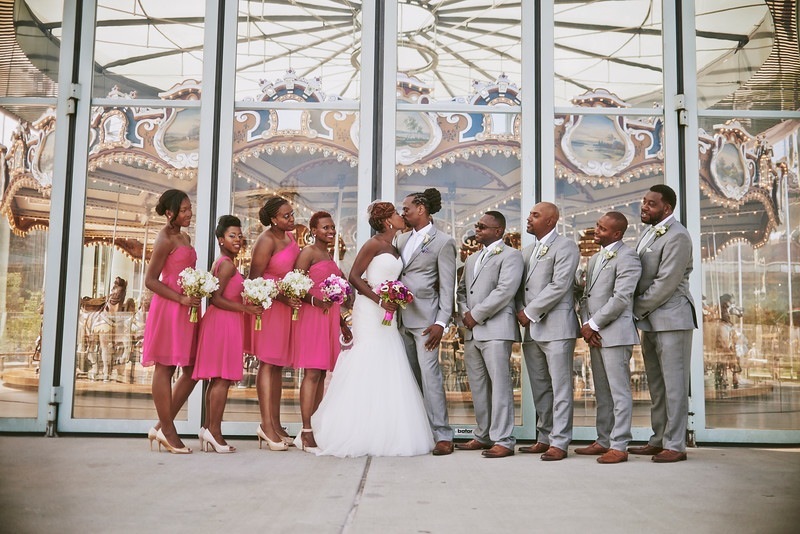 The owner of the venue was always responsive and helpful throughout the planning process. Although I didn’t hit it off with Kristine, who heads up the decor, she did a good job of bringing my vision together. 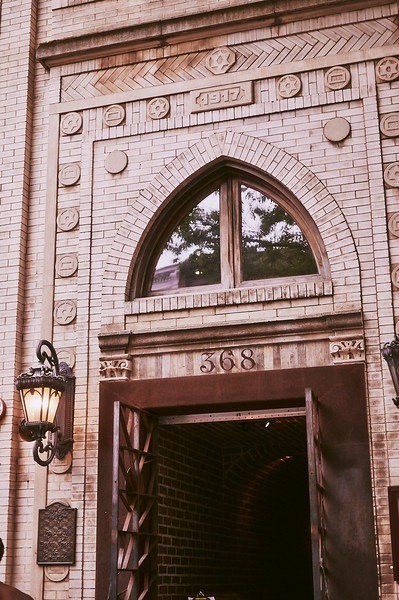 Deity is such a beautiful space, with exposed brick and big windows, that you don’t need much decoration. If you need to have a lot of control over every detail of your wedding, then this might not be the place for you (wedding planners are not allowed). I thought I did, but I’m so happy that I let go and trusted a great team with experience.